How desperate is the right wing media? Look at this Fox News clip.. 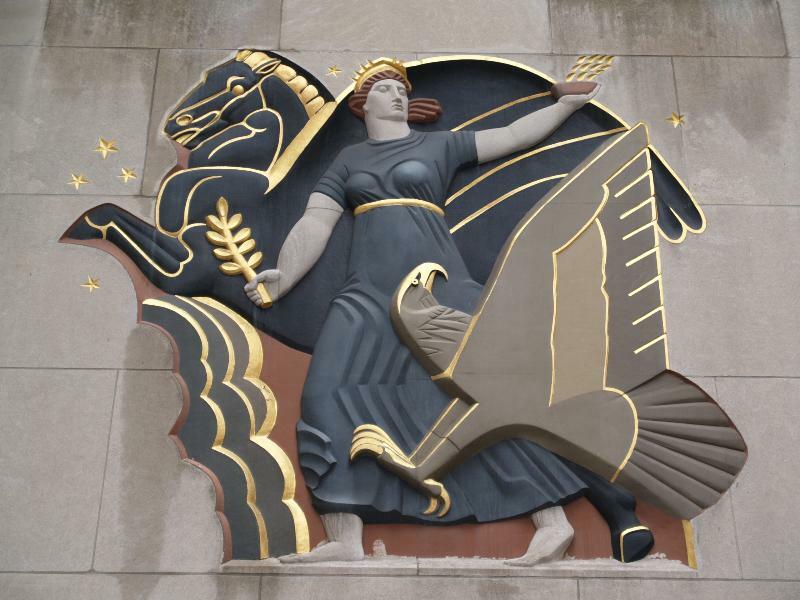 According to this art critic Rockefeller Plaza is a communist/facist landmark.. In this Clip Glenn discusses some art at Rockefeller plaza. Youtube suggested some Alex Jones after that, who proposes Glenn Beck is CIA. Let’s explore this theory. Fox news wouldn’t let rockefeller come out as a pinko without a plan. In intelligence circles this is called partial hangout. Telling a portion of a hidden truth, hiding it right in the open. In the end it’s just a bunch of art that the un-educated masses never learned to interpret and won’t start now. Another intel tricks is Beck’s partisan presentation. It creates a framework of control, thereby controlling the debate. Democrats just dismiss it out right, Republicans are just spurned on to lynch Obama (ouch did I just say lynch aloud?) Perhaps his mission is the same old story, to keep us fighting amongst ourselves. I am fortunate in being an independent. It affords me clearer vision by not feeling rabid or scoffing. If he is not CIA, then poor Glenn just seems confused and acts like it’s a big news flash a “capitalist supports communism”. People with money like the Rockefeller family are bigger than one country, one “ism”. So is peace and the goodness of humanity.